Thinking of buying a BMW 1 Series? Which trim offers the best value for money? 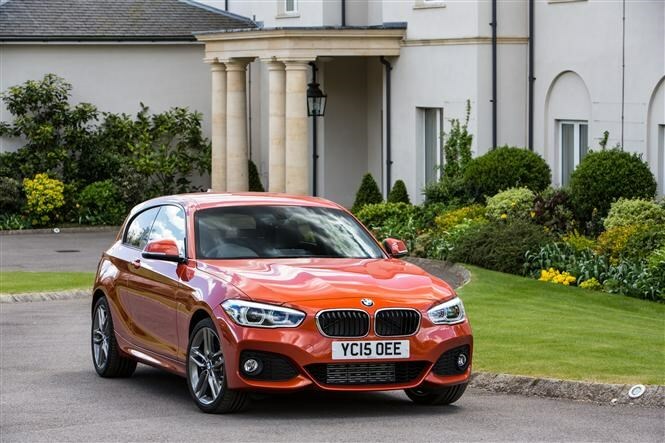 The BMW 1 Series is a very popular car in the UK, whether it's a private car or a company car. In fact, almost two million BMW 1 Series models have been sold since the first generation arrived back in 2005. And while there's a new 2019 BMW 1 Series on the way, the current generation still makes an excellent buy if you want a compact premium hatchback. That's because there are plenty of engine and trim level combinations to choose from, a choice of three- or five-door body styles and a high-quality interior whichever model you pick. And while that's great news if you're a picky buyer, it can also be a little daunting with such a wide variety on offer. Scroll down for our guide to the best BMW 1 Series models. 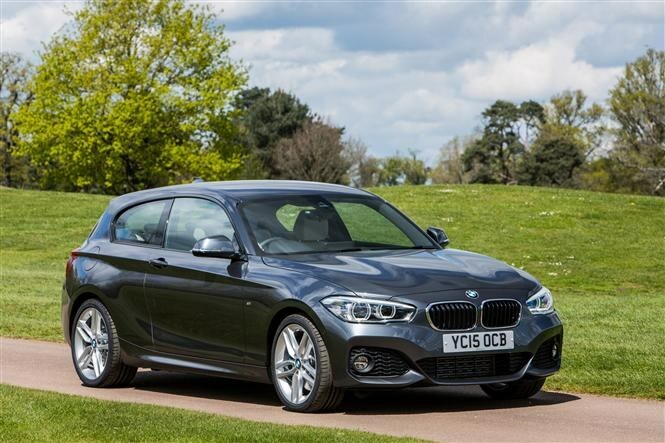 Don't forget to read our full review of the BMW 1 Series and check out our Cars for Sale section for local deals. 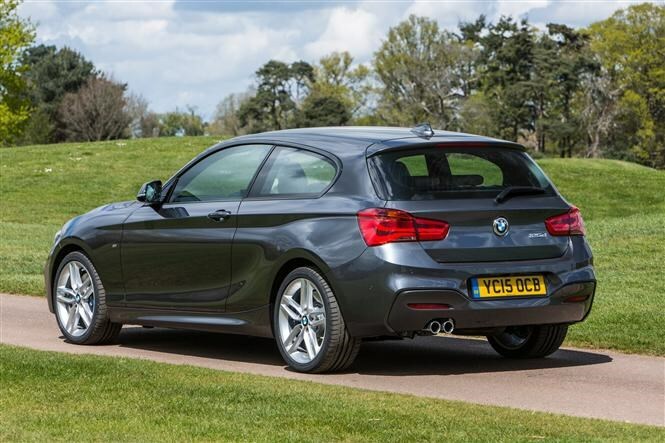 The BMW 1 Series is available in the following familiar BMW trim levels: SE, Sport, M Sport and M Sport Shadow Edition. There's also a top-spec M140i hot hatchback. Following a facelift in 2015, standard kit is very reasonable indeed. Entry-level SE trim includes equipment like sat-nav, keyless start, electrically heated door mirrors, air-con, automatic lights and wipers, DAB radio, six loudspeakers, Bluetooth, 16-inch alloy wheels and fog lights. Next you move up to Sport trim, which upgrades the wheels to 17-inch alloys and adds ambient lighting, sports seats, different interior trim and exterior trim details in high gloss black. The next rung up is the M Sport. Choosing this trim upgrades the alloys to 18-inch items, adds M Aerodynamic body styling, M Sport suspension, LED headlights with LED foglights, leather upholstery and black interior headlining. Introduced towards the end of its life, the M Sport Shadow Edition builds on the regular M Sport with darker 18-inch alloy wheels, cruise control, darkened front and rear lighting units, Harman Kardon sound system, rear parking sensors and an M Sport braking system upgrade. You have a wide range of choice when it comes to engines in the BMW 1 Series, and except for the 120d xDrive model, there are no exclusions for choosing either three- or five-door models. If running costs are at the top of your priority list, the 116d engine is the one to pick offering an impressive combined fuel consumption figure of 53.3mpg, with CO2 emissions at just 114g/km. Despite the low running costs, performance figures are pretty good too with its 1.5-litre three-cylinder engine generating 116hp and 270Nm of torque, an increase of 10Nm compared to its predecessor, capable of accelerating the car from 0-62mph in 10.5 seconds. Other diesel choices include the 150hp 118d and 190hp 120d, both of which use the same four-cylinder diesel engine in three different tuning set ups. There was also a 125d available previously with 225hp. The 118d offers a good mix of running costs with performance, the 150hp and 330Nm of torque can get you from 0-62mph in 8.4 seconds while still offering a combined fuel economy figure of nearly 50mpg and CO2 emissions of 120g/km. If that’s not enough performance for you then the higher powered diesels could suit you better, and is also available with xDrive all-wheel drive. This version will complete the 0-62mph sprint in just 6.9 seconds and will still return up 44mpg. If you prefer the refinement of a petrol engine and plan to travel shorter trips in a more urban environment, there's an equally extensive range to choose from. Things kick off with the 1.5-litre 118i, producing 136hp. If you need more power, the 120i produces 184hp, and is very smooth and powerful, with a 0-62mpg time of just 7.1 seconds. 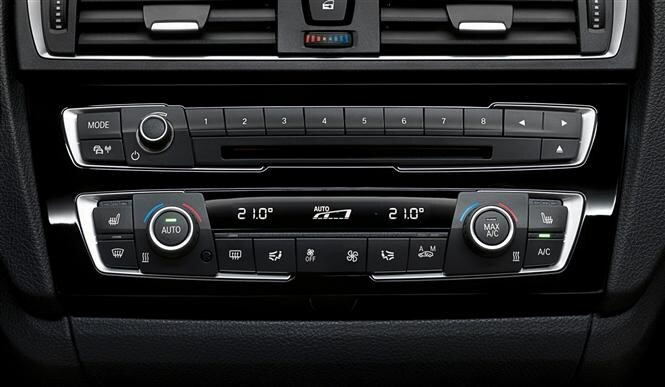 A six-speed manual gearbox is standard for most new 1 Series cars, but you can also choose an automatic gearbox on all engines, and is an excellent fit. The BMW 1 Series is the only car in its segment to come with rear-wheel drive and as a result it’s dynamically more rewarding to drive. 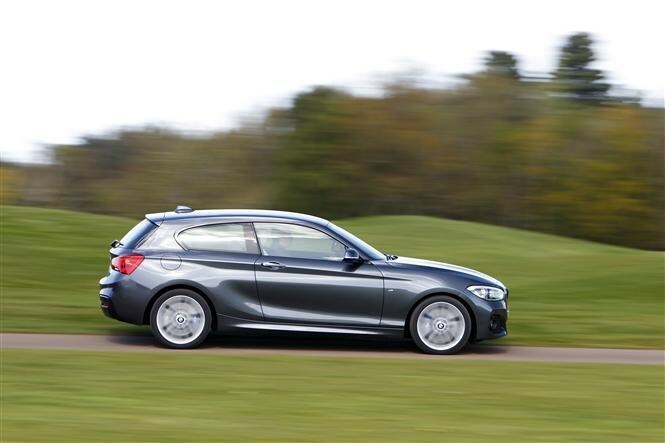 This is only heightened further with its performance model, the M140i. Fitted with a turbocharged straight-six engine there’s a staggering 340hp available with peak torque of 450Nm, enabling a 0-62mph time of just 4.6 seconds. Despite the sporty handling and quick performance, running costs are not as bad as you may think, as it's capable of returning up to 40mpg if you're careful. Although standard kit has greatly improved over the past 10 years, the 1 Series still doesn’t offer cruise control or parking sensors as standard unlike many of its much cheaper hatchback rivals. We think these are vital for making life easier day-to-day. For those winter months we would definitely consider the heated seats and a heated steering wheel. If you prefer controlling your temperature more accurately, the Interior Comfort Package adds dual-zone climate control and extended interior lighting. We are big fans of BMW’s LED headlamps and although they are a little on the pricey side, they are a great addition if you can afford it. We would also consider the High Beam Assist system that automatically switches on the car's high-beam at night. If you like your music then consider upgrading the sound system to the Harman Kardon system; for the money you get 12 loudspeakers, an external amplifier and two subwoofers. One of the most popular options to add is leather interior. 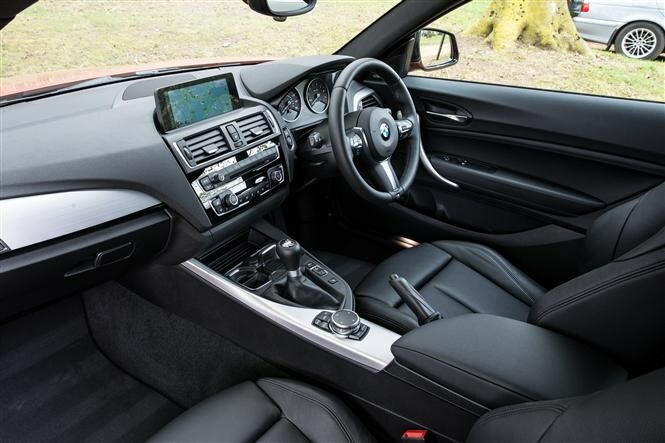 Although pricey (leather upgrades always are), it should add to the resale value when you come to sell, as would upgrading to BMW's more sophisticated BMW Professional Media package, adding a larger infotainment screen, online concierge services and a more advanced sat-nav system. Buying with our heads and hitting the right balance of performance, low running costs and value for money we would go for the 118d Sport five-door. BMW 1 Series BMW 1 Series: Which version is best? BMW 1 Series: Which version is best? BMW 1 Series: Which version is best? BMW 1 Series: Which version is best? BMW 1 Series: Which version is best?